I’ve accumulated a bit of a BookBin backlog and I’m starting to already forget my thoughts on the books that I’ve finished. That won’t be much of a problem with this entry. 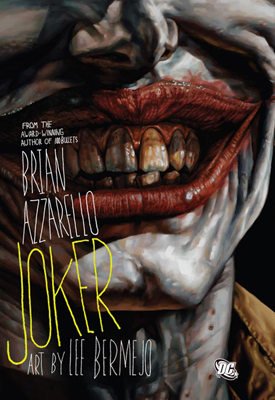 I’m not really sure why I picked up Brian Azzarello’s The Joker. I could tell from the artwork that it was based on the Joker as portrayed by Heath Ledger in the Christopher Nolan Batman universe. I make no secret of the fact that I really dislike Nolan’s take on the Dark Knight. I have no interest in seeing this summer’s final offering. I’ll probably rent it later on. Then again, probably not. I guess it all depends on that day’s level of rental-related sadomasochism. However, I know that Azzarello’s work with 100 Bullets is considered by many to be a graphic novel masterpiece (I’ve yet to experience it, but am willing to take other opinions into consideration). The problem, however, is that no amount of creativity on Azzarello’s part is going to eliminate the fact that the foundation of this Joker was laid by Nolan. Did I mention that I really don’t like his translation of the Joker? 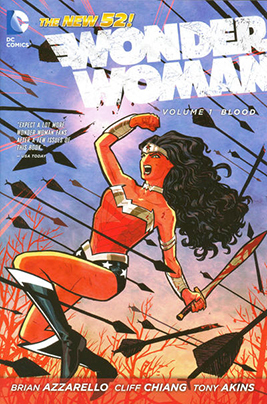 Therefore, I didn’t really like this graphic novel. One of the things that I’ve always liked about other interpretations of the Joker is that he is a dark, damaged, duplicitous criminal mastermind, worthy of being considered one of Batman’s number one opponents. Even in Alan Moore’s The Killing Joke, this darker version of the Joker carried within him a sharpness of wit and humor that were completely lacking in Azzarello’s Joker. Instead, in this story he’s nothing more than a bottom-dollar gangster, taking out petty vengeance on those who “wronged” him while he was away at Arkham Asylum. Also? I know I come back to this all the time, but the depiction of women in this novel was atrocious. Harley Quinn as a mute stripper? (I’m just assuming she’s supposed to be a mute in this storyline, since I don’t believe I read any lines from her at all…she was just in the background, looking naked and lascivious). And a completely unnecessary act of sexual violence to show what an unhinged badass the Joker really is? I will say this: As with The Killing Joke, what ultimately saved this novel wasn’t the writing but the artwork. The combination of Lee Bermejo’s art with Mick Gray’s ink, Patricia Mulvihill’s colors, and Robert Clark’s letters combine for a delicious panorama of the more sinister sides of Gotham City and its seedier inhabitants. Some of the panels are frame-worthy, they’re so viciously beautiful. Final Verdict: As much as I love the artwork, this is another case of finding the story itself so repulsive and unimpressive that I’m going to have to pass. Already back at the library, where I should have left it in the first place.